Blessed among the Mess: SOS-My Baby is all Growed Up! SOS-My Baby is all Growed Up! 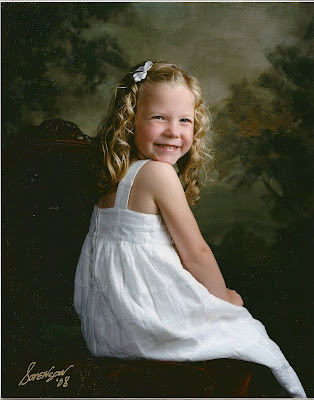 Shout Out Saturday this week is for my "baby" girl....Reagan Jane. "Don't blink. It goes by in a flash"
That's what a lady told me at my baby shower for Reagan. I thought she was nuts. Especially during those LONG nights when Reagan had REALLY bad reflux. Those nights didn't go by in a flash. Or teething. 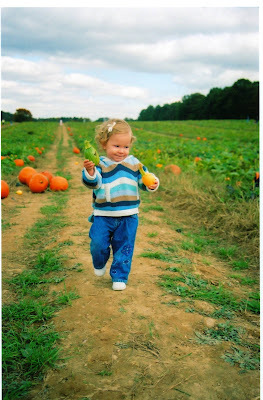 She even went through a phase where she threw tantrums (yes, my sweet little girl). But thank the Lord those were short lived. But somewhere in there, I blinked. She's almost 6 (in one week!). She is done with kindergarten in two more weeks. She changed SO much in the past year. Her hair is longer. Straighter. She has grown 4 inches in the last year. She will probably be taller than me by the time she is in 2nd grade. More importantly, she is growing into her own little personality. She has a tender spirit. Often, after school, I hear about how someone got their feelings hurt by another student. She usually says, "But I gave her a hug and told her I was still her friend." She has become my little helper with her sisters too. Yesterday, I overheard a conversation that brought tears to my eyes and then made me laugh out loud. Reagan: Skylar, did you have a good day at home? Skylar: Yes, but I missed you Reagan. I don't like it when you go to school sometimes. Reagan: (putting her arm over her sister) I know. I missed you too. I think of you at school during lunch. I love those tender moments. Five minutes later they were arguing over the last piece of dried apple, but it was great while it lasted. I heard a great phrase the other day regarding the recession: "Hold your money tight, and your children tighter." I know someday my little girl will be on her own, so I'm enjoying the time that I have to hold on to her. I'm enjoying the times that she wants to be with me. And wants to be with her sisters. I know, I know. She's ONLY six. 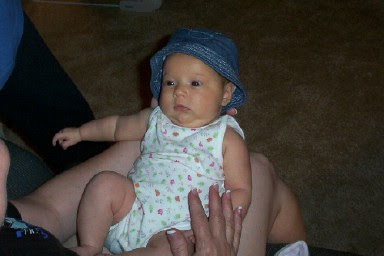 But just yesterday she was ONLY six days, or six weeks, or six months old. Or so it seems. For those with babies...Don't blink. It goes by in a flash. Geez Heather....now I am sitting here crying. Thanks! :) Great post! Well, I still don't believe it! I blink and blink to make the time pass quickly, but time is still crawling by. That conversation was SO cute!!! And I think she looks like Bailey a bit in the 6 month old picture. She is a really special and tenderhearted girl!! Oh what a great reminder and snapshots of your "baby". She's just beautiful and that conversation shows what a sweet spirit she has as well. OH I LOVE IT!!!! That graduation pictures was just priceless. They are growing up so fast aren't they? Someone told me last week that the trick is to keep looking forward. sweet post! 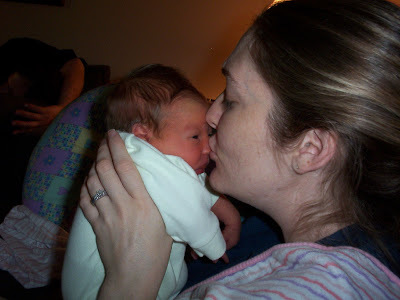 My baby is 9 and I can't get over how fast it has gone! I like Jennifer's comment - ha ha ha. The girls' conversation was really sweet. I'm glad you overheard it. And Wow! 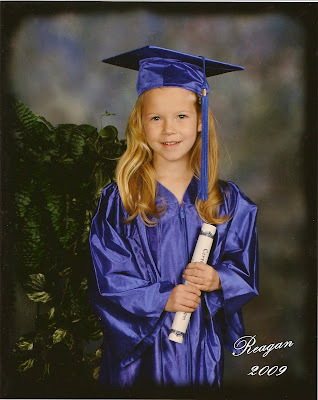 Reagan did change a lot this year - she looks so grown up!